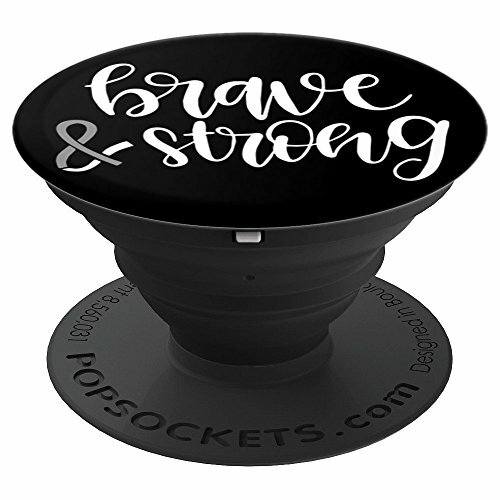 Brave & Strong Brain Cancer Glioblastoma Grey Ribbon - PopSockets Grip and Stand for Phones and Tablets by Brain Cancer Support T-Shirts at The GM Sign In. Hurry! Limited time offer. Offer valid only while supplies last. This PopSockets Grip for cell phones and electronics is an awesome choice for anyone who is fighting brain cancer, survivors, supporters and oncologists. If you have any questions about this product by Brain Cancer Support T-Shirts, contact us by completing and submitting the form below. If you are looking for a specif part number, please include it with your message.